I came across an article in the Globeandmail.com technology section by Ted Kritsonis from Canada, explaining how heavy users and creative developers and gadgets users are improving the commercial product Sony’s Play Stations and Double Screen Nintendo. 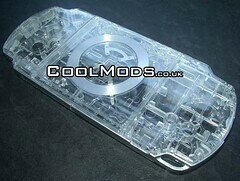 This “modders” are improving the products and selling the changes online, there are several sites like Coolmods which sell online these changes, like see-through case shells. Most modders take apart nuts and bolts to remake the consoles and devices, they add functionalities and even new sticks, they have added the Choto Shot camera inside the new slim Sony PSP because it has more space and emulators to play any game you want on the Nintendo DS, there is even a site where a DS Lynux is being developed. “Will Tuttle, a prominent gaming critic with Gamespy.com points that the majority of them do it for no other reason than to make improvements to the PSP and DS using their own time and money.